Email as a way of communicating has certain ‘traps’ baked into it, which can obscure your message, mess up your working relationships, or if you’re really unlucky even end your career. These pitfalls are easy to avoid – and yet we still see managers making obvious mistakes every day. Here’s how to save yourself from falling into these traps. Have you ever paid someone a compliment in an email, and they’ve mistaken it for an attack? Have you ever been outraged by what someone has said to you in an email, and then later when you’ve calmed down you’ve realised that they actually meant something quite innocuous? Let’s hope you didn’t send a reply when you were angry! What’s going on here? When you talk to someone face to face, your body language, voice tone, and facial expressions give them additional information they need to interpret what you are ‘really’ saying. All meaning is context-dependent, and the context for human communication includes factors like ‘how sincere is this person?’, ‘what do they think of me?’, ‘what is this saying about our relationship?’, ‘what’s their intention in saying this?’, and so on. The ‘paralanguage‘ (voice tone, body language etc) that comes with a spoken message gives us information that we process in real-time at an unconscious level to help us make sense of the words (this is not the same as the myth that ‘93% of the meaning of a message is in the body language and the voice tone’, as explained in this article). But with email (or text message) we don’t have this information. So our default setting, especially where we don’t know the sender very well, is to be on our guard, scanning the words of the email for possible threats. Power relationships have an impact too – the higher the status of the sender relative to us, the harder our minds look for anything that might be an attack. We don’t have to be in a bad mood to do this, as this little ‘subroutine’ of our minds operates independently of our consciousness – in fact, if we’re in a good mood and we get what we think is a hostile email, it will come as more of a shock. Now, if you’re a task-focused manager, it probably won’t occur to you to put yourself in the shoes of the recipient and think about how your email could come across to your subordinates, but investing a bit of time now could save you a lot of effort dealing with the unintended consequences of a carelessly-worded email later. Even better – for message that could have an emotional charge, or that impacts on people’s future, don’t use email at all. Go for a face to face meeting if you can. Failing that, videoconferencing gives the recipients some facial expressions to go on. Even a telephone conversation gives the recipient some voice tone information to go on – and all of these communication methods are real-time, so you have a chance to put things right straight away if the recipient takes your message the wrong way. If you only take one thing away from this article, it should be this: don’t send emails when you’re angry! If you’ve got offended over an email, get up and walk away. Wait until you’ve calmed down and have re-examined the offending message dispassionately before replying. 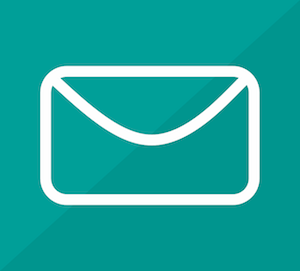 Following on from the first point, email is a ‘depersonalised’ medium, stripped of the information about relationship that we get from human contact. If you work in the same building as your subordinates, but habitually do all your communication by email, it’s sending a message that you don’t have time for them. If you’re a task-focused manager this may not seem like an issue, but be aware that your relationship-focused subordinates will resent you if this is how you communicate with them – and the resulting motivation drain will mean they take longer to carry out the projects you’ve assigned them. If you have a list of their addresses ready-made, it’s as easy to send out an email to twenty or a hundred people as it is to one. So very many managers seem to cc every email to everyone in the team, even when it’s only relevant to the one or two people that it’s really aimed at. Don’t do this! Each email that your subordinates receive takes time to read, even if it’s only a quick glance to decide if the rest of the email is worth reading. Those little bits of time wasted add up to a significant figure that gets bigger the more cc’d emails you send out and the more people you cc them to. Plus, the more irrelevant emails people have to wade through, the greater the chance that they will miss something important that is relevant to them. Instead, consider who needs to see each of your emails, and only send it to those recipients. a) Forgetting to add an attachment. I’m a serial offender here! It can make you look less than competent, but most recipients will have done something similar and it’s easily put right by resending with the attachment. Remedy: add the attachment before you write the email, or at least as soon as you mention that you’re sending an attachment. b) Forgetting to add a subject line. Probably the least serious of all email offences. Remedy: write your subject line first. c) Sending the email to the wrong person. Particularly serious if you send an email where you’re having a sensitive discussion about an individual to the person you’re discussing, as well as or instead of the intended recipient. Remedy: fill in the recipient fields before you write the email, making sure you get the people in the ‘to’, ‘cc’ and/or ‘bcc’ fields the right way round. d) Hitting ‘reply all’ rather than ‘reply’. This could just be a variant of the annoying ‘cc the world’ email sin in point 3, or with a sensitive email it could be another way to torpedo your career. Remedy: always hit ‘reply’ rather than ‘reply all’ when you compose your reply. When you’ve finished writing it, manually add your additional recipients to the ‘cc’ field. Generally, you should assume that your emails could end up being seen by the world, as you have no control over what your recipient does with them. This is a case where you need to write your email to appeal to what you know about the recipient, rather than writing the style of email you might want to receive yourself. Why? It’s obvious that some people prefer a more formal approach than others – it’s best to err on the formal side if you’re writing to someone you don’t know for the first time. If you’re replying, just mirror how they have written to you – if they start with ‘hi’, use ‘hi’ back, and so on. What’s less obvious is that a quick-thinking, task-focused person will get impatient if there is a lot of detail in your email. If you are quite detail-focused yourself, and you know you are dealing with an impatient, task-focused person, make an effort to just give them the big picture with the important points. If they want more detail, they will ask you for it. Similarly, notice how much of their personal life the other person reveals, and match that. A quick-thinking, task-focused person will get impatient with personal chit-chat or enquiries after their health very quickly. Someone who is more detail oriented but still task-focused will be uncomfortable with personal stuff in a work email, seeing it as an intrusive irrelevance; they will prefer to do things by the book and keep things formal so they don’t have to reveal anything about themselves in return. To find the right ‘tone’ for your work emails to someone you know, consider two factors: are they focused on tasks or relationships? And are they quick-thinking, big-picture people or more considered and detail-focused? Tailor your emails accordingly. At an Emotional Intelligence conference I attended some years back, Robert Cooper – co-author of that fine book Executive EQ – jokingly suggested that you should electrify the ‘send’ button so that you don’t send an email unless and until you are really sure you want it to go out. What are your top tips for emotionally intelligent emails? Share them in the comments below! Patricia, It’s amazing how much I use the NLP training from almost 30 years ago. The updated program must be out of this world.! I thank you every day. I’m wondering if you’ve posted your comment on the wrong blog, as there’s no Patricia on here and the post isn’t about NLP – wonderful though that is! Here’s my top tip for both emails and forum posts. Send your proposed communication to yourself and then sleep on it. Read your own words the next day with a fresh pair of eyes and then modify, send or simply leave it be. I have plenty of such emails that I have never sent. My first question to myself is “what’s my outcome here? What am I intending to have happen?” All good NLP stuff and it works for me.